How hard is the Peak District Challenge? There are five levels of difficulty, to cater for all participants. You will need a basic level of fitness for all of the challenges, and the Silver and Gold challenges in particular should not be entered lightly. If entering the Silver and Gold challenges, you’ll start the event at 9pm, walking or running in darkness. For all five challenges you have the choice of self navigating, in which case you’ll be walking unaccompanied, met only at checkpoints, and covering a large distance. The 25-100kms route are NOT flagged, so a minimum level of navigational skill is required. For those without good navigational skills, we offer the option of joining a led group on the Copper, Bronze, or overnight leg of the Silver challenge (before completing the daytime leg of the Silver challenge in daylight). 2km fun run – most reasonably healthy people could walk this in under an hour with little difficulty. 5km Park Run or Colour Run – You’ll need to train a little to run the whole way. Back Before Dark 10km Peak District Challenge – With some training you’ll run the whole way, but a healthy person will be able to walk 10km if you have to! Don’t walk too slowly though, otherwise you won’t be Back Before Dark. Tough Muddy obstacle courses. Typically 20km, 4 hours, with physical wet / icy / electrified obstacles. Peak District Challenge Copper route: 25km, 9 hours, 700m of ascent. You will need to maintain a steady but not extremely fast walking pace throughout the day. We expect most reasonably fit people could manage this challenge in under this time i.e. you should have time for a break or two along the way. Yorkshire three peaks challenge – 39km, 12 hours, 1600m of ascent. The Yorkshire three peaks challenge can be completed by most reasonably fit and active people, but about 10% of those who attempt it do not complete it, and about a further 30% don’t achieve the 12 hour target. Peak District Challenge Bronze route. 50km, 12 hours, 1200m of ascent. You’ll need to maintain a fast walking pace for the entire 12 hours. We expect a reasonably fit, regular hillwalker can complete this challenge with enough perseverance. National three peaks challenge: 44km, 2900m of ascent, 14 hours of walking in total, broken up with ten hours of rest breaks. Peak District Challenge Silver route. 75km, 24 continuous hours 2000m of ascent. You’ll need to be physically fit with plenty of perseverence to find your way around this course. Welsh 3000ers. 48km in 24 continuous hours, about 3500m of ascent. Lake District 3000ers. 72km in 24 continuous hours, 3823m of ascent. Peak District Challenge Gold Ultra route. 100km, 24 continuous hours, 3000m of ascent. The ultimate challenge, for experienced walkers and runners with extensive reserves of perseverance. Your fuel and vehicle costs are minimal, and you’re saving the planet! You don’t have to fundraise at all if you don’t want to (although we will ask for a one-off donation to our chosen charity for this event, SALVE International, if you decide not to seek sponsorship). We provide delicious vegetarian drinks and snacks. You won’t be buying all your food from motorway service stations over the weekend. We can do all this, because we ask for supporters to volunteer for us over the weekend. Fundraising is not obligatory. We organise the event to raise as much money as possible for charity so we love it when people choose to fundraise. If you chose not to commit to fundraising we apply a one-off surcharge that is given in it’s entirety as a one-off donation to S.A.L.V.E International (min £10). A discount on the entry fee is offered to those able to commit to fundraising a minimum of £100 for the Peak District Challenge’s chosen charity, SALVE International. When must I enter by? The sooner the better so you can train appropriately! Main entries close about 3 weeks before the event. Late entries will be taken after this date, but they will not get a tshirt in their goody bag. Do I need to provide my own support team? We ask that you do not bring a personal support team, but instead your supporters are asked to volunteer to assist with the running of the event. This may also keep them entertained whilst you are on the furthest summits and out of sight! We are looking for friendly volunteer marshals to provide encouragement, drinks and snacks. Safety and navigation advice will be managed by mountain leaders from Wilderness Development. If you do bring supporters and friends with you, we ask that they do not shadow you or provide additional personal support. What kit do I need? What if it rains? Is there shelter on the way round? The Peak District Challenge will go ahead come rain, wind or shine. You should expect to carry with you everything that you need to keep safe and comfortable during the event (with the exceptions of water, food, and for 50-100km challenges a “half way” bag). There are no indoor or undercover resting areas during the event, (only at the start and finish), so you need to prepare to be outdoors for the entire event with all the kit from the Kit List. In the event of extremely strong winds or lightening shortened low-level routes may be used. What level of navigation or map reading ability do I need? Only the Back Before Dark 10km is flagged, on longer challenges (25-100km) you’ll be met by volunteers only at checkpoints. If taking on the Copper or Bronze Challenge, we would expect you to be honestly able to state: “I can make sense of a normal ordnance survey map to find my way around, even if I don’t use the compass”. This is the minimum level of navigational ability required to take part in the Copper or Bronze Challenge. If this isn’t you, we ask you to book a beginners (Level 1) navigation course with Wilderness Development or a different organisation, or join a led team around the Peak District Challenge. Guides on the Silver challenge are available only overnight, and during hours of daylight all Silver challengers will need to self-navigate, to the standards outlined above. The Peak District Challenge is a team event, however Solo and duo entries on the 25-100km routes are permitted from runners with extensive comparable experience. This is not the place to try your hand at your first solo or duo Ultra Marathon. Solo entries are accepted on the Back Before Dark 10km. not be all on paved roads. We will ask for a brief description of your qualifying event on your registration form and will take your word – we do not require proof. A sentence along the lines of “In 2017 we completed the 56 miles Bullock Smithy challenge in 20 hours” or “In July 2017, we navigated the whole route of the Pennine way from Kirk Yetholme to Edale (270 miles) including sections at night” will suffice. How many checkpoints are there? How far apart are they? The Back Before Dark route has 1 checkpoint with water only. Checkpoints will be crewed (with water available) at least every three hours on overnight events and every two hours on daytime events. This doesn’t mean you can top up with water more frequently if you’re a faster runner, as reaching a checkpoint faster may just mean that you arrive before the checkpoint is crewed! You should therefore bring sufficient carrying capacity to go for this long between water top-ups. If you are completing the challenge at “on target” pace, you’ll find all checkpoints are crewed by the time you reach them. What is provided at checkpoints? At many checkpoints, a member of the volunteering team to cheer you on and give you any help you need. There is no full meal provided on the way around, so if you have special dietary requirements or will want to eat more than “grazing” food it’s advisable to carry additional food yourself. What are the grid references for the checkpoints? These are emailed to participants 7 days before the event takes place. 7 days before the event has been chosen to make it long enough to copy it on to your own maps, but deliberately not long enough to give you time to recce the whole route in advance! Navigating yourself between checkpoints is a key part of the challenge. We do show you rough outlines of the Peak District Challenge routes here. What is the route between checkpoints? You should use the shortest route between checkpoints, while avoiding major roads. The Back Before Dark 10km route is flagged and marshalled. On 25-100km challenges, a route guidance booklet with grid references and highlighting areas of danger is provided on the day of the event. In a few areas there is a specified compulsory route, in most (more than 80% of) areas you are encouraged to chose your own route between checkpoints. GPX waypoint files will be available for download from this website from 7 days before the event for use with GPS devices or mapping software. The routes only follow good, obvious paths, and are generally waymarked national routes and easy to spot. If you find yourself on a small, overgrown, dangerous or unmarked path, you may have veered off track! The routes stay off roads as much as possible, so where there is a choice between a road or a path, we have almost always indicated a suitable path. There are extra checkpoints for the longer challenges, so if you go through all the checkpoints for your challenge and take the shortest-cut you can find between them, then you have completed the challenge! Can I recce the route? Firstly there are no fixed routes. You can chose the quickest and easiest route between checkpoints that most suits you. Have a look at the FAQ “What are the routes between checkpoints?” for more info. Secondly, we don’t provide the exact locations of checkpoints until 7 days before the event. That’s deliberately long enough to mark the routes on to your maps, but deliberately not long enough to allow enough time to recce the whole route in advance, because navigating yourself around the route is a key part of the challenge. Have a look at the FAQ “What are the locations of the checkpoints?” for more info. A keen map reader will be able to make a reasonably accurate judgement about the likely route using the info above, by taking a look at the Ordnance Survey map of the area and following the general route description given. There are further hints contained within these FAQs. Can I have a bag meet me halfway around the challenge? Yes, for Gold, Silver and Bronze challengers, we will bring a “halfway” bag to meet you approximately half way around the challenge. To take advantage of this, please label a suitably non-valuable and waterproof bag and drop it off in the “bag drop off” area at HQ. We will return your halfway bag to HQ for you after you have had a chance to go through it. Whilst we will do our best, please be aware this is a public event and your bag will be brought to meet you in a public car park which is not lockable. We advise against bringing valuables. It is not possible for 10km and Copper Challengers to have a bag meet them half way. Can I leave my bag in Hathersage HQ whilst I'm taking part? Yes, we are happy to store labelled (non valuable!) bags in HQ for you whilst you are taking part in the Peak District Challenge. No valuables please, and whilst we will do our best, please be aware this is a public event and our storage facilities are not lockable. What if I struggle to maintain the target pace? Whilst we’ll do all we can to help you achieve your challenge, the volunteers crewing the checkpoints can’t stay in place indefinitely. If you are up to one hour behind the target pace we will warn you. If you are one hour or more behind target pace, we will leap-frog you forward on your route by car, allowing you to finish the route by foot within your challenge’s target time. On some challenges, there is scope to drop down to a shorter route – for example Gold Ultra entrants can drop down on to the Silver route. We aren’t able to accommodate hounds within the event venue, but if he’s happy waiting for you in your car before and after the run then a well behaved pooch accompanying you out on the hill will be welcome on Silver, Bronze or Back Before Dark 10km routes. We’re not able to put in additional canine support I’m afraid, so you will need to be able to look after him yourself – we haven’t got a doggy-drop-out bus. How do I get to Hathersage? What is the postcode for the venue? Is it easy to park? By train! There is a train station five minutes walk from the event base, and the event has been specifically timed so that you can travel to the event from Manchester or Sheffield by train. There is limited pay and display parking in the village, and more P&D parking available at a distance from the event base at postcode S32 1DU. Maps of parking locations will be provided in your 7-days-to-go event briefing email. What time must I register on the day of the event? Between 7-8pm for Silver and Gold Ultra challenges. Between 7-8am if you want to start your Bronze challenge at 8.30am. Between 2.30-3.30pm if you want to walk the Back Before Dark 10k, departing at 4.07pm. Between 4.30-5.30pm if you want to run the Back Before Dark 10k, departing at 6.07pm. You can chose your own start time and wave at any time up to the day of the event, there’s no need to let us know in advance which wave time you’d prefer. Is there any accommodation available? If your supporters volunteer to help organise the event, they will also be welcome to camp in the event base on the Friday night while the race is ongoing. There is lots of good B&B style accommodation in Hathersage, shown on the map below. Click each price for further info. The best value and most convenient accommodation is Hathersage Youth Hostel nearby. There is also camping at North Lees (about 1.5 miles away). What other activities are available in Hathersage? 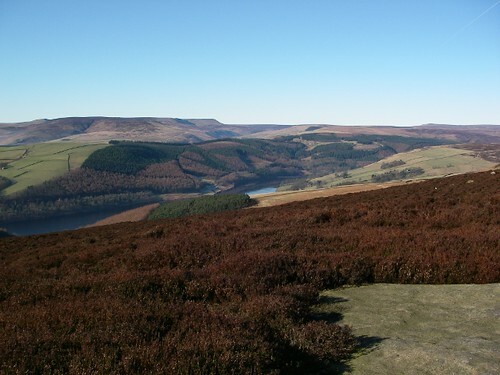 Just get in touch: will@peak-district-challenge.com or 07941 645 520 to speak with Will Sheaff.